It was in a library when a friend decided to include me in a selfie. Trying to be nice and funny, I put one of my stupid grimaces for the camera. Sadly, the burst of happiness of the photographer was destroyed moments later when I discover that the destiny of the picture was, irremediably, disappearance. Merciless, without second opportunities; without thinking twice; without the possibility of erase the picture unwillingly while toying with the screen; without the possibility of losing the smartphone in a wild party night; without any brother who drop the milk in your device. The picture had already vanish. This is Snapchat, a burst of fleeting happiness. Each time I think about people uploading pictures of their breakfasts on Instagram, I start to freak out. (Call it breakfasts, touristic points, streets, sunrises, sunsets, kisses, poems … Call it life) Was it necessary to destroy the moment of eating your breakfast for taking a picture? Was it necessary to decide the filter while swallowing the last sip of your coffee? Was it necessary observe how the photo is being uploaded while chewing the last piece of your croissant? Was it satisfactory to see the likes of your Facebook friends while tipping the waiter? Did you upload the photo while taking the breakfast, or did you take the breakfast while uploading the photo? Instagram aside, Snapchat is even funnier. The mere nature of time and moments fading away is not enough for creating suffering in certain people. They have to see moments vanish twice. The main advantage of technology is to improve human skills. Words apprehend and possess reality more stable than thoughts; writing transmits our ideas and thoughts longer and further than voices; pictures preserves our visual memories more reliable and unalterable than brains; cars moves us faster and further than our bodies; Internet needs to be thoroughly analyzed; but Snapchat… Snapchat burst our happiness safer and less harmfully than drugs, I guess. A couple of days ago, speaking with a friend he affirmed, One Snapchat video a day is enough for me to know what my friends are doing. I am happy just with that. Naively, I asked, One Snapchat video a day or one letter a month, what do you prefer? At this moment, both know what lasts longer. But, how sensitive we are? How emotionally stable? How much do we need bursts of happiness? And, how sensible are our brains? For those who have read Flourish (Seligman, 2012) you already know that happiness is not well-being. For those who have read Authentic Happiness (Seligman, 2004), you already know what savoring means. It is not about how much do we have, but about how much do we enjoy what we already have. Quality versus quantity. It seems that our damaged brains just believe in images. 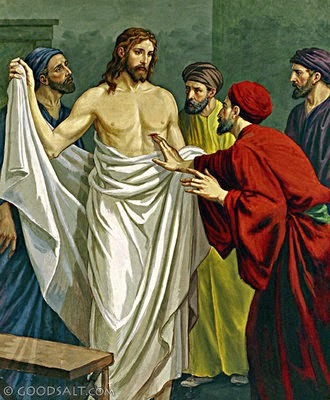 Thomas had to put their fingers in Jesus wounds to believe. Probably, a Snapchat photo would have been enough for him. To finish with, I will tell another curious anecdote. Once, I needed some photos for an event to which I had not assisted. Therefore, I used the power of my social network to access to someone who had attended. I was incredibly happy when I found a friend of a friend who had gone there. Obviously in the Smartphone era, I was completely convinced that she had taken the photos I needed. I guess you already know with which app she took the pictures. There was no picture at all of the performances. None. It had been two days ago, she had been there, taking photos with her smartphone, destroying her moments, consuming her life, and then, there was not any photo at all. The advantage of killing a moment is the possibility of recovering it later. Why do we have to retain instant moments in an instant way? What is the sense of it? If we want to immortalize a moment, we can do it. If we want to live a moment, we can do it. But, what is the purpose of killing moments, twice? A gush of happiness. Life is disappearing continuously, but the wisdom I have found hidden among the words of these sentence seems eternal to me. My rigidity has lead me to conflicts, suffering and the destruction of what would have been wonderful moments. Some may call it ego. I like to call it future, I like to call it hope. Seligman, M. E. P. (2004). Authentic Happiness: Using the New Positive Psychology to Realize Your Potential for Lasting Fulfillment (Edición: 1st Free Press Trade Pbk. Ed.). New York: Simon + Schuster Inc.
Seligman, M. E. P. (2012). Flourish / Martin Seligman. North Sydney, N.S.W: William Heinemann Australia. Should I have less friends?